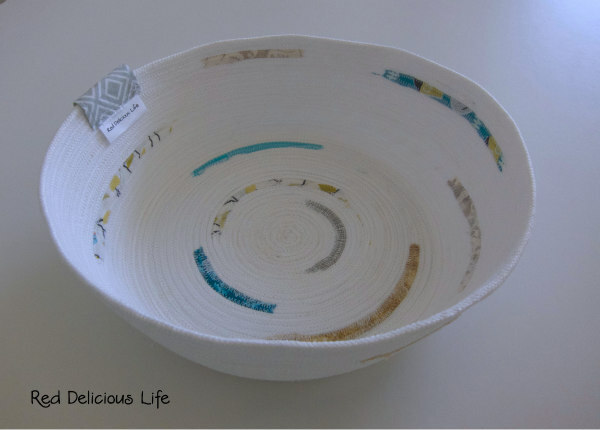 I have to admit that the bowls look like a lot of fun to make, and I am intrigued by the coaster idea, too. Your solution for hiding the end with your tag is fantastic. Do you have much control over where the rope ends or are you using a pre-determined length of rope? My concern is breaking needles while sewing. It just looks like that could be a problem. That and keeping a even curve as you go up the bowl. Cute gift! I have seen this demoed at local quilt shows but I think it's the kind of thing I would have trouble keeping neat as I go. Yours look lovely! 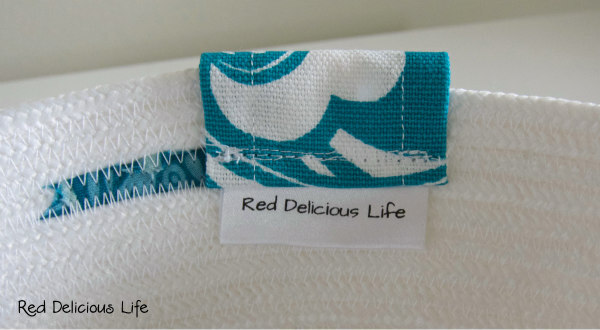 I like the trick of using your labels to hide the ending seam. Cute bowls! I like how your placement of fabric pieces enhance the overall appearance. These are fantastic! I bought some clothesline rope in December and haven't played with it yet. But it is on my list. Love these Diana!! This bowl looks great Diana. I've never seen one where it is mostly clothesline and small bits of fabric. It's a nice modern look. 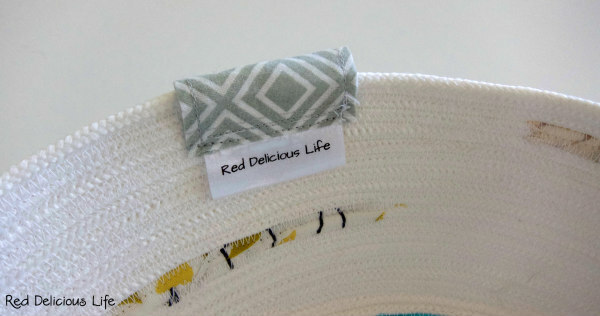 I like your version, cute idea to hide the ends with little fabric tabs. I am totally in love with these bowls! Especially one just like yours with bits of fabric added! I swear I'm going to try this...thank you for the link! What a clever idea to add intermittent bits of color. I've seen plain rope and fabric-covered rope but this is delightfully different. Congratulations on both. I can see why you'd want one yourself. I do. 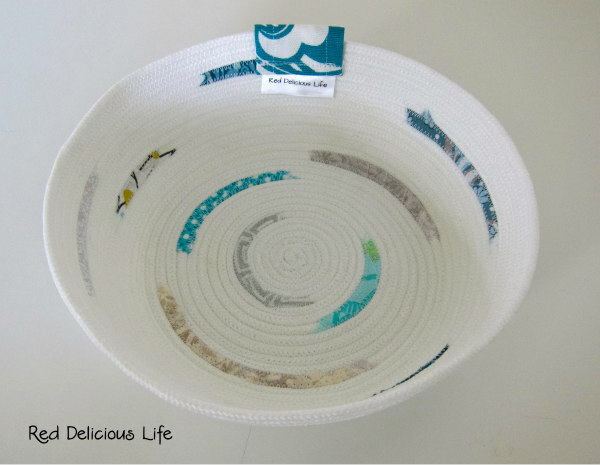 Rope bowls are definitely on my to-try list, your's looks so good and genius idea for covering the join! Aren't they great to make? I haven't tried any with fabric scraps but they are on my to do list. January - Ready, Set, Goal!